“Out of sight, out of mind” is the problem with RV roofs. If you do not inspect your seams regularly and take care of your rig, you will end up with expensive-to-repair water damage. 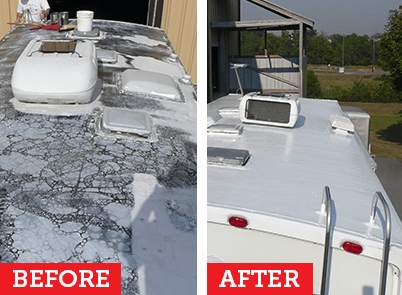 Water damage lowers the value of your RV faster than you can say ‘repair,’ so it’s vital that you check your roof thoroughly every year. Even if you have just rubbed along a low hanging branch, while on your travels, get up there and ensure that no damage has been caused. 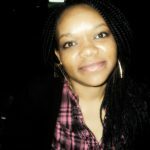 The results of ignoring such occurrences can be devastating. A tree branch can easily puncture the rubber membrane of your roof. Be very careful when you go up on your RV or trailer roof. Are you sure it’s strong enough to support you? Is there a ladder at the back? If not, it most likely isn’t strong enough to be walked on. In such a case, find some plywood to lay on it so as to distribute your weight a little more. 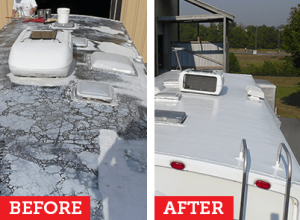 Rubber roofing material is most commonly used today but fiberglass, aluminum and vinyl are also used on RV roofs. Rubber roofs are great and durable and should be cleaned at least four times a year; more depending on where you park your RV. 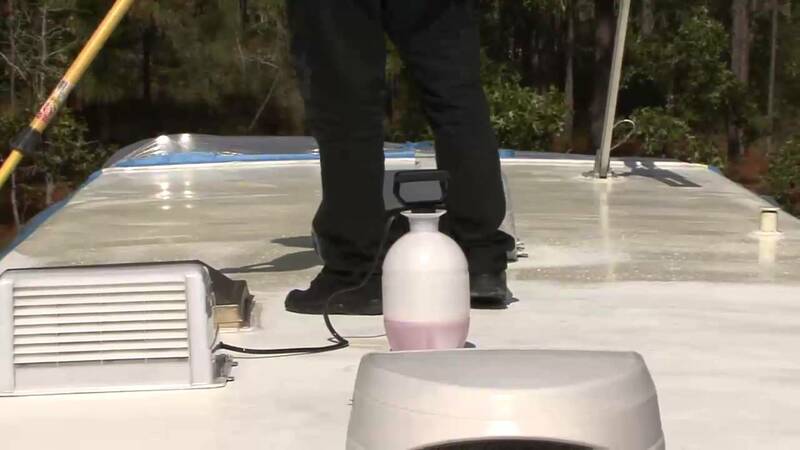 Never use a cleaner that contains petroleum solvents or citrus ingredients on your rubber or vinyl roof, as they will cause permanent damage to the surface. This would allow rain or melted snow to easily seep into seams and damage wall panels, ruin insulation and even rot framework. Mold likes to grow in these types of conditions, creating a risk of respiratory infections to those who stay in the RV. Water also expands as it freezes. If water has seeped into cracks and seams, then freezes, it will cause further damage to your roof, leading to tears and even rips. Even the most extremely water-damaged RV can be salvaged, as long as the shell is intact. 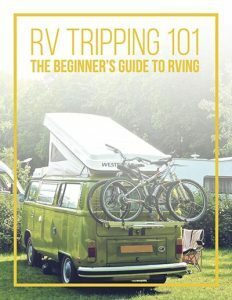 So, if you have an old RV that you thought was done for, read below and you just may find a way to restore it yourself. The first thing you need to do is to clean your roof thoroughly, so as to remove any dirt particles. You should then dry the roof as best as you can. 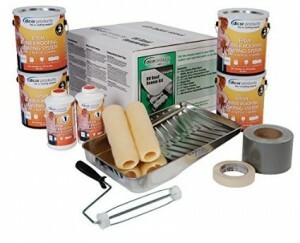 Scrape off any debris or old roof material. Be careful while you do this as you could easily elongate a tear, or even punch a hole through the roof. Ask your dealer which sealants are most compatible with your roof. 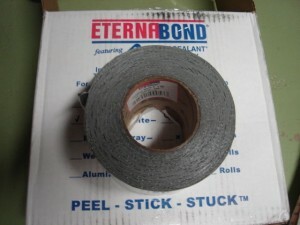 Check your local store for Eternabond, which is a great product for repairing roofs and sealing seams permanently. 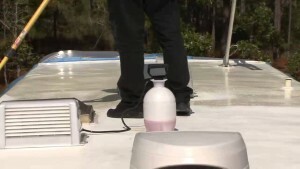 The rubberized leak stopper is also great for RV roof repair. It sells for $17 per gallon, and seeps into cracks and crevices to bond with the metal and create a permanent seal. It will ruin your clothes, so be careful not to spill any, as it does not wash off. Wear gloves! An old paint brush or trowel can be used to coat the roof evenly. An extra inch on all sides wouldn’t hurt either. 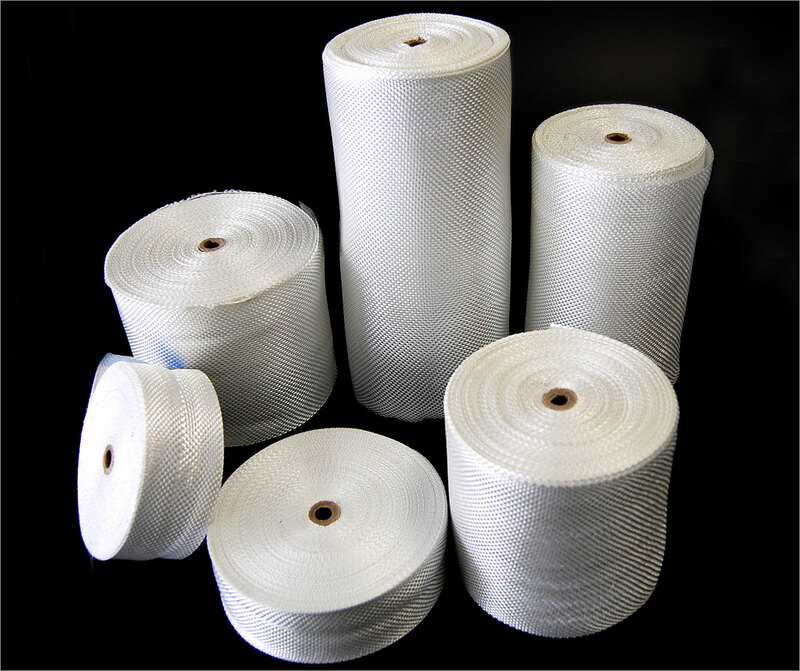 If your roof is ripped or torn, you will need to purchase fiberglass repair tape. Rubber roofs last longer than any other, but you will need to learn how to take proper care of them. EPDM and Dicor coatings are the most highly-rated products for this job. Other than wash with soap every so often, these roofs should be trouble-free for at least ten years. Using any petroleum-based products on these roofs will cause major damage that is irreparable. If you spot an RV with a rubber roof that looks loose or swollen, the owner most probably used petroleum products to clean it. EPDM is an extremely durable synthetic rubber roofing membrane. 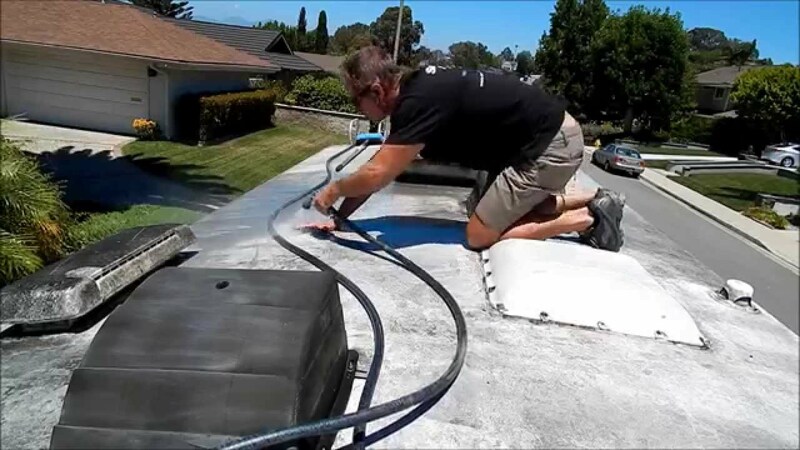 EPDM roofs start to look chalky and some streaks may appear on the sides after it rains. This chalky layer protects the rubber from degradation. It is oxidized EPDM. If your roof begins to degrade, there are some products you can use to reseal it, sort of like sealing asphalt on your driveway. 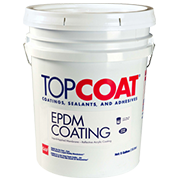 EPDM comes with an activator that you need to mix with the sealant. Dicor should be applied in two coats, after using the primer provided with the sealant. Several rubber roof kits are also available. 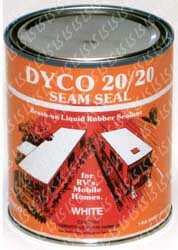 Use a self-leveling sealant, such as Dyco Flow Seal Caulk, to seal roof joints. Inspect all seams yearly and touch up any cracks with the sealer, to ensure you never suffer water damage. Everguard TPO rubber roofing looks more like plastic than rubber. It is more rigid than EPDM, and has a shiny appearance. To care for this roof, you need to occasionally wash it with soap. This won’t make it last any longer though. 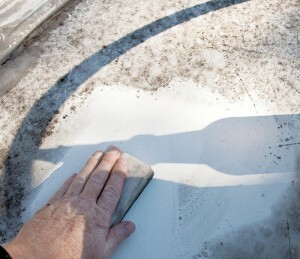 Clean the roof thoroughly, then use a rubber roof sealer to repair any cracks. Before EPDM and TPO, metal was the material of choice for RV roofs. 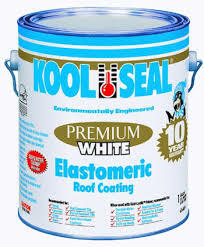 Household roof coatings will seal a metal roof just fine, but the best product by far, for metal roofs, is Kool Seal. 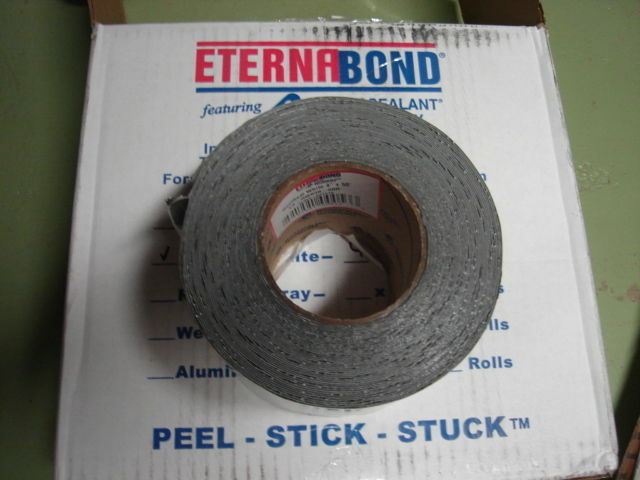 If you need to repair structural damage, not just seal a roof, Eternabond seam tape is the product for you. 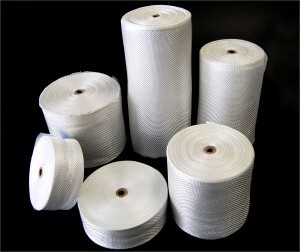 Eternabond comes in four-inch rolls that you apply over your roof’s seams. It is somewhat like duct tape, but better, so you should have it with you at all times for emergency repairs. 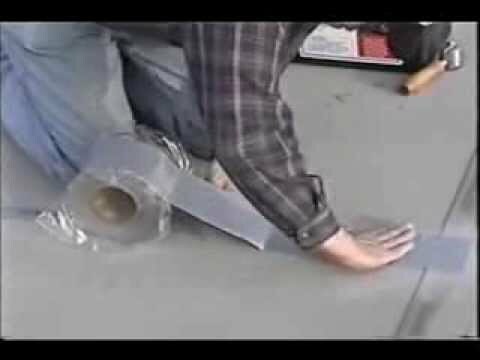 After cleaning the roof, you should lay the tape carefully. Once it’s down, you won’t be able to peel it off. Just like EPDM roofs, fiberglass roofs oxidize. Older model RVs with fiberglass will probably oxidize faster than the newer models. This is because the clear coat that covers the gelcoat was most probably not applied to it. Gelcoat has no structural value, but protects the hull to give it color and shine. It is sprayed onto the hull and takes the shape of the surface, like all gels. This provides that “ultra-gloss” that new RVs, cars and even boats exhibit. In order to restore the gloss, you first must clean your roof thoroughly. Use warm water to sponge the surface clean, then let it dry. In order to get the best results, the surface must be free from any oil or grease. You can use MEK (Methyl Ethyl Ketone) or acetone to remove any grease stains. Use thick rubber gloves to do this job. Keep gelcoat waxed to prolong the life of the gloss. Generally, you should apply the wax in a circular motion, using a soft cloth, but application instructions may vary between brands. Let the wax dry, then buff the excess to give your RV a smooth, reflective surface. Polishing is meant to remove any pitted surfaces. Apply polish to a soft cloth and work in small areas at a time. Use a circular motion to apply the polish, until the surface becomes glassy. Always wax after polishing to improve the shine. Some polishes also incorporate wax. If polishing fails to give your fiberglass its shine back, you may need something stronger. Use a de-waxer to get all the wax off your roof. Toluene also works fine. Apply a rubbing compound made for fiberglass and use it like polish. Polish, wax, then buff the surface to make it shine. This should restore your fiberglass. Is an electric buffer necessary? It depends on you. Can you compound, polish, wax and buff your RV by hand? If you can, by all means do. An electric buffer will get the job done much faster though. Several products claim to restore gelcoat to its original shine. The results of the products are very dramatic, but will wear off as they are similar to urethane varnish. Note: The procedure is the same as above: clean, polish and coat. Restorers are a plastic coating, (acrylic to be exact) and is water-thin to make it easier to apply than wax. It dries hard, which makes buffing unnecessary. You need at least five coats to get a good shine, which should last a year or so. When it’s time to restore the surface again, you will have to purchase a special stripper to get the old sealer off. RV roof maintenance is essential. Nothing lasts forever, so as much as modern roofing materials are meant to last for several years, it is inevitable that you will have to take action against the damage caused by oxidation and UV rays. Buy an RV cover. This will save you time and money as the cover will protect your RV, especially if your area experiences extreme weather conditions. Repair small cracks as soon as you find them, to prevent them from becoming bigger problems. 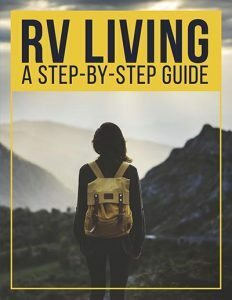 Typically, you should reseal your whole RV every five years. It never hurts to use a little extra sealer: better safe than sorry! Read your manufacturer’s instructions on cleaning and sealing whenever you undertake repairs, so as not to void your warranty.